Congratulations to Brian Rast, Winner of Event #15: $1,500 Pot-Limit Hold'em ($227,232)! Day three of $1,500 Pot-Limit Hold’em event began with 10 hopefuls all vying for a coveted World Series of Poker bracelet – and the $227,232 first-place prize that goes along with it. After a fairly slow start, eliminations ran rampant, with Ali Eslami, Mika Paasonen, Daisuke Endo and Dajuan Whorley all being sent to the rail within a half hour of each other. When the dust cleared, it was Allen Kessler and Brian Rast who were left to duke it out for the right to be called “champion.” After a short heads-up battle, it was the online cash-game grinder Brian “tsarrast” Rast who came out on top. Day one saw 765 players register in an attempt to prove their poker skill. An onslaught of talent could be found at every turn, including Annette Obrestad, Gavin Smith, Tom Dwan, Liv Boeree, Faraz Jaka, Jeff Madsen, Dwyte Pilgrim, Kathy Liebert and Humberto Brenes – just to name a few. At the end of the day, however, it was WSOPE Main Event third-place finisher Ronald Lee who topped the field with 122,700, which would serve him well on his way to an oh-so-close WSOP bracelet. The journey to the final table on day two was far from easy, as there seemed to be a well-respected poker pro around every corner no matter how many people were sent to the rail. Among them included John Dolan (71st), Joe Sebok (60th), Hoyt Corkins (49th), John Racener (39th), James Carroll (23rd), Randall Flowers (19th) and Christian Harder (17th) – all of whom went deep enough to cash for their efforts, despite missing the final table. It was Rast who secured the chip lead going into day three, having amassed a whopping 1,081,000, or, just over 30 percent of the total chips in play. When day three began, many of the remaining players began the day short-stacked, which may explain the relatively short duration of the final table – six hours. When the heads-up battle began, Rast had a slight chip lead over Kessler, which he used to make moves and apply constant pressure. In one hand that showed Rast’s poker prowess. Rast opened to 70,000 from the button and got a call from Kessler. The flop came and Kessler checked to Rast, who c-bet to 80,000. Kessler responded by making it 180,000 and, undeterred, Rast quickly reraised to 390,000, which got a muck from Kessler. Rast tabled for jack-high, leaving Kessler puzzled. For Rast, this win adds to an already impressive poker resume, which includes over $700,000 in lifetime tournament winnings prior to winning this event. This win also represents Rast’s first WSOP bracelet – not bad for a guy who had to be convinced by good buddy and fellow poker pro Antonio Esfandiari to actually register for the event. 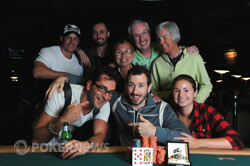 Congratulations to Brian Rast and all other players who managed to cash in this event. Remember to follow PokerNews for coverage of the other events going on at the Rio, including Event #19: $2,500 Limit Hold’em / Six Handed and Event #18: $1,500 No-Limit Hold’em – both of which started today. Allen Kessler Eliminated in 2nd Place ($140,309); Brian "tsarrast" Rast Wins! 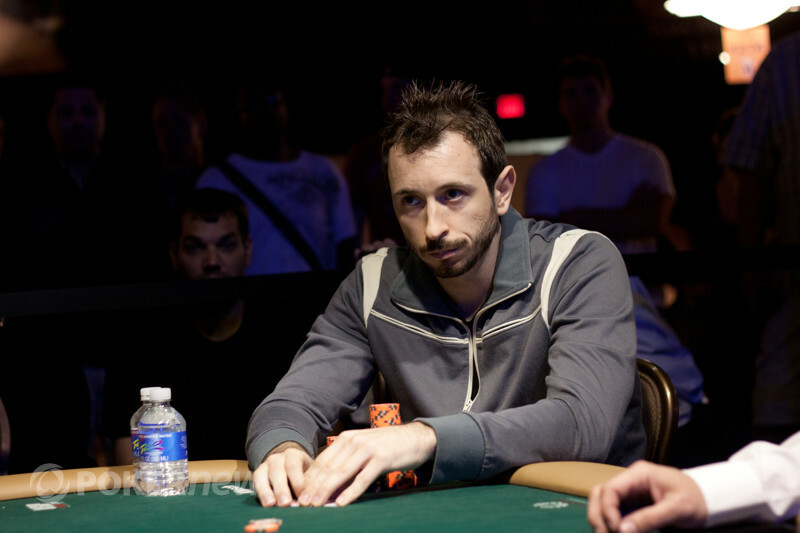 From the button, Brian "tsarrast" Rast opened to 90,000 and Allen Kessler made the call to see a flop fall. Kessler tapped the table before Rast pushed out a 90,000-chip continuation-bet only to have Kessler three-bet to 200,000. Pausing for a few moments, Rast bumped it to 500,000 only to have Kessler announce all in for 1,440,000 in chips. Rast instantly made the call and stood up and flashed his cards to his railbirds that included Antonio Esfandiari and Rast's parents and other family members. With Rast having flopped the second nut flush (behind the steel wheel), he would still need to fade any five or three falling to have Kessler take a massive lead in the heads-up battle. As Kessler remained seated, he pointed three fingers at the board signaling his desire for a three-ball to spike, but when the landed on the turn, Kessler would be left with just four outs between him and a near-certain bracelet. Unfortunately for Chainsaw, the river would fall the to end Kessler's tournament in second place for a $140,309 payday as Rast is crowned the Event #15 Champion! Allen Kessler opened his button for 90,000 only to have Brian Rast cut out a three-bet of just 215,000. Kessler swiftly made the call as the flop fell . Rast paused momentarily before leading out for 160,000 to force a fold from Kessler. Allen Kessler bumped it to 90,000 from the button and Brian Rast made the call to see a flop land. Rast led for 105,000 but Kessler cut out a two-bet of 250,000 as Rast swiftly folded. With that pot, Kessler moves to 1,860,000 as Rast slips to 1,585,000 in chips. 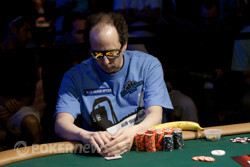 Brian Rast opened to 80,000 from the button and Allen Kessler defended his big blind to see a flop fall. Kessler proceeded to check-call 75,000 as the landed on the turn and Kessler checked again. Rast pushed out 130,000 but Kessler responded by check-raising to 300,000. Rast passed, and Kessler crept in on the Rast chip lead. 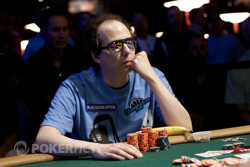 On the first hand of play, Allen Kessler gave Brian Rast a walk in the big blind. Rast would then bump up his button to 80,000 and Kessler would swiftly fold. Both Brian Rast and Allen Kessler were a little restless during their dinner break, and decided to recommence fractionally early. The cards are now in the air!